Plaza Tire Service is proud to carry a full-line of Falken tires including those highlighted on this webpage. Its staff members have been trained by Falken representatives to understand the benefits, advantages and application of Falken products to meet drivers’ needs. If you are interested in any Falken products not listed here, Plaza Tire Service communicates directly with Falken to place special orders for turnaround delivery in a very short period of time. Start shopping for your new Falken tires here with a free tire quote! Click “Submit” at the end of your tire quote to receive $20 off your next set of Falken tires! 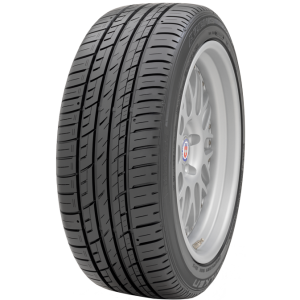 The Falken Azenis RT615K is a street-legal motorsports performance and DOT-approved track tire. The Azenis RT615K maintains a strong grip on the road or track with its exclusive 8/32nd tread design and solid center rib in dry conditions. It is available in 21 different sizes ranging from 14-18 inches and features a UTQG rating of 200 A A indicating is excellent performance at very high speeds and temperatures. 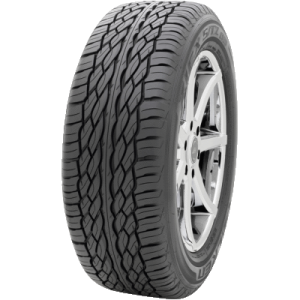 The Falken Sincera Touring SN250 is a touring tire meeting the comprehensive needs of a variety of vehicles. Confidence, comfort, long-wearing and quiet tread design is also complimented by its stylish tread pattern and sporty appearance for coupes, sedans and wagons. It is available in a wide range of original equipment sizes including 14-18 inches. Specifically designed to provide class-leading durability, all-season performance and ride comfort, Falken’s new Sincera SN250 All Season tires truly deliver. 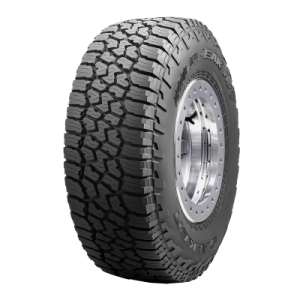 • Using Falken’s proprietary Dynamic Range Technology (DRT), the SN250 A/S ensures maximum grip at a wider range of operating temperatures for exceptional dry and wet traction. • Strategically placed tread blocks balance harmonics to reduce tire noise for an impressively quite ride. The Falken Rubitreck All-terrain tier is ready for adventure, any time and any weather. • The Rubitrek A/T provides a balance of aggressive off-road ability and rugged terrain driving along with an exceptional ride on the pavement. •The optimized tread design combined with silica tread compound provide long lasting wear along with performance in rain and snow. 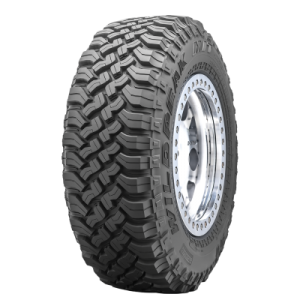 Falken’s WILDPEAK tires have always enjoyed a reputation for confident off-road performance, durability and all-terrain dominance. Now, Falken’s proven level of WILDPEAK performance is available in an all-new tire that can conquer a multitude of tough climate and terrain challenges while also serving as civilized, everyday driving shoes. Falken engineered everything it learned through decades of off-road racing success into the WILDPEAK A/T3W. 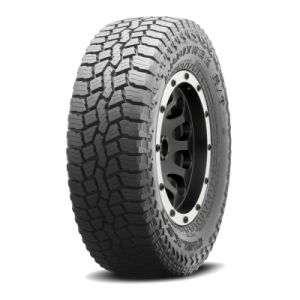 Developed exclusively for SUV and light truck owners who take their vehicles everywhere they need and want to be, no matter the weather or the terrain, the WILDPEAK A/T3W is a true all-season, all-terrain tire choice. Streets and highways, dirt and mud, slush and snow: it’s all the same to the ready-for-anything Falken WILDPEAK A/T3W. The Falken WILDPEAK H/T offers a combination of superb dry handling and responsive wet braking on all roadway surfaces. Falken has optimized traction and control through the combination of a non-directional tread pattern, high-tension casing ply and stiff wide steel belts in order to provide stability and comfort for pick-up trucks and SUVs alike whatever the season. With excellent value from its long-lasting tread and optimal ride comfort, the WILDPEAK H/T leaves the competition in the dust. Trusted by the pros to take on the harshest conditions, the Falken Wildpeak Mud Terrain is built to get you there and back whether you’re on the pavement, mud, snow or rocks. •The Wildpeak M/T-01 features Falken’s proprietary three-ply Druaspec Sidewall technology. • The M/T-01 also features exceptional road manners thanks to an optimized variable three-pitch tread pattern and precision manufacturing technology. The ZIEX ZE950 All-Season Tire incorporates the latest in technology and design from Falken to create an excellent choice for drivers of today’s sedans, sports cars and crossover vehicles where mileage, all-season durability and high performance handling are a priority. 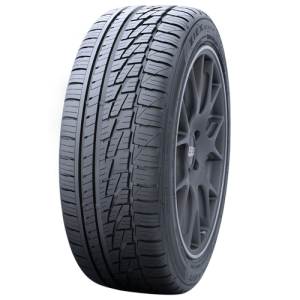 • Using the Falken exclusive Dynamic Range Technology (DRT) in the all new silica tread compound and asymmetric tread design, the ZIEX ZE950 All-Season Tire provides optimum levels of dry, wet, ice and snow grip as well as delivering the longest mileage of any Falken High Performance tires. • With 95 sizes from 15-inch to 20-inch and speed ratings of H, V, and W, the ZIEX ZE950 covers a wide range of fitments, from family sedans to cross-over vehicles. The Falken Azenis PT722 A/S carries two classifications; ultra-high performance and all-season touring. Its enhance tread depth and grooved tread design provide a stable performance in wet conditions to help avoid hydroplaning. The PT722’s assymetric tread pattern provides even wear and excellent performance. To top off its comprehensive performance, the PT722 also provide excellent wear and ride comfort. 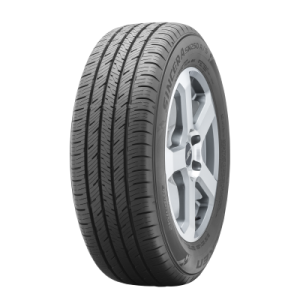 The Falken PT722 A/S is ideal for luxury vehicles with 65 sizes available ranging from 16-22 inches with V, W and Y speed ratings. The Falken Wildpeak A/T features an aggressive look and aggressive traction for the SUV and light truck markets. It’s durable and rigid enough for off-road performance while it maintains its on-road response. The Falken Wildpeak A/T features two stiff and extra wide steel belts for stability and handling while its tread pattern effectively evacuates water, mud and snow. The Wildpeak A/T is available in 15-24 inch sizes. 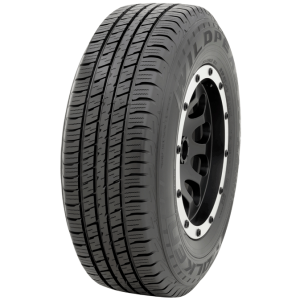 The Falken ZIEX S/TZ05 boasts an all-season performance and comfort for luxury SUV’s and light trucks. The ZIEX S/TZ05’s non-directional tread design promotes maximum tread life, and its special tread design and staggered shoulder grooves deliver a smooth, quiet ride. It is available for 18-24 inch SUV and LT applications.